(Sacramento, CA) – For two exciting days each year, California high school students take part in the CA ProStart Cup, an intense culinary arts and restaurant entrepreneurship competition that awards much-needed college scholarships to the winners. These teenagers have developed ideas for new restaurant concepts, technology and innovative dishes. This year, the 2018 CA ProStart Cup also packs inspiration from chef and keynote speaker Jet Tila of TV’s Chopped, the Rachael Ray Show, and Guy’s Grocery Games, and students will meet representatives from more than a dozen colleges and universities along with some of the most well-known restaurant and food brands in the country. The 2018 CA ProStart Cup, to be held on March 18-19 at the Sheraton Fairplex Hotel & Conference Center in Pomona, is presented by BJ’s Restaurants and hosted by the California Restaurant Association Foundation. The CA ProStart Cup recognizes not just those with the best culinary skills, but the most accomplished students in business management and a new category this year, innovation. Culinary Cup: Participants have just one hour to prepare a starter, entrée, and dessert using only two butane burners. Competitors must calculate the cost of their recipes and are judged on knife skills, teamwork, safety, sanitation, and communication. Management Cup: Participants must prepare a business proposal for a new restaurant concept, including marketing tactics, a menu, restaurant design, and organizational structure. Innovation Cup: In a first-of-its-kind competition, teams of high school students will develop and pitch a concept for a robot, product, app or software to improve the restaurant industry. More than 250 students will compete and be judged by 65 industry representatives from brands like BJ’s Restaurants, California Pizza Kitchen, Urban Plates, Hard Rock Café, and Sharky’s Woodfired Mexican Grill. Winning teams from each competition will be awarded first-, second- and third-place trophies and vie for available scholarships that total more than $2.3 million. 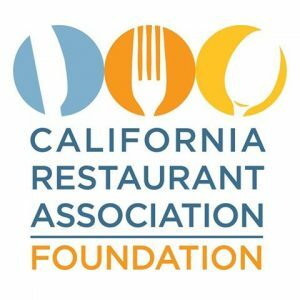 First-place winning teams from the culinary and management competitions will be sponsored by BJ’s Restaurants Foundation and the CRA Foundation to represent California at the 2018 National ProStart Invitational in Rhode Island, April 28-29. “The CA ProStart Cup is a great platform for aspiring chefs and entrepreneurs to show their talent and creativity,” said CRAF Executive Director Alycia Harshfield. “And, since restaurants are using technology in new ways through robots, delivery apps, and other emerging ideas, we thought we would challenge the students to do the same.” A list of participating high schools is attached, along with a list of the colleges who are generously donating their time to this year’s competitors. • 2018 CA ProStart Cup: Sunday, March 18 from 8 a.m. to 5 p.m. and Monday, March 19, 8 a.m. to 3 p.m.
• Monday: College + Career Expo featuring 30+ employers and colleges and a keynote address by Jet Tila.